There are some Middle East stories which, despite its generously staffed Jerusalem Bureau, the BBC does not attempt to tell. Whilst its accounts of the War of Independence inevitably include mention of the fact that some of the local Arab population left their homes, the Jewish communities which fell to the invading Arab armies and the resulting evacuation or expulsion of their populations remain concealed from BBC audiences. This is one such story. 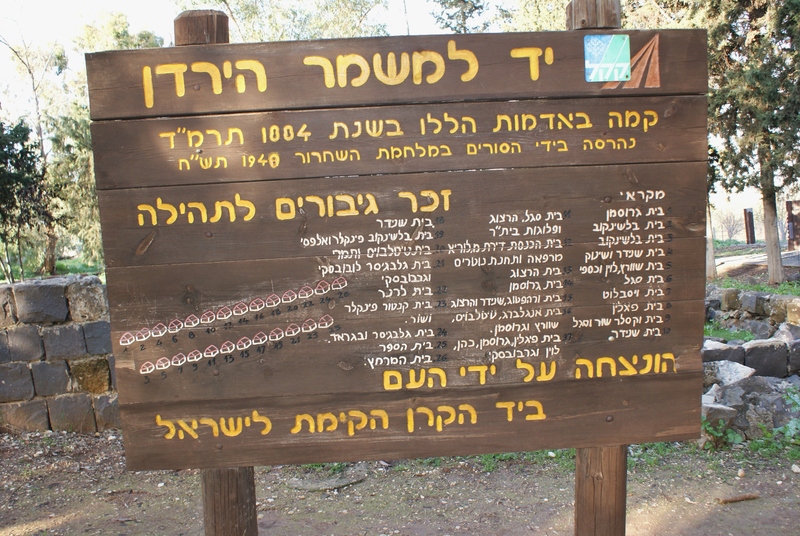 In 1884 an aspiring Jewish farmer purchased land to the west of the B’not Yaakov bridge in the Galilee, on the main highway leading to Damascus. 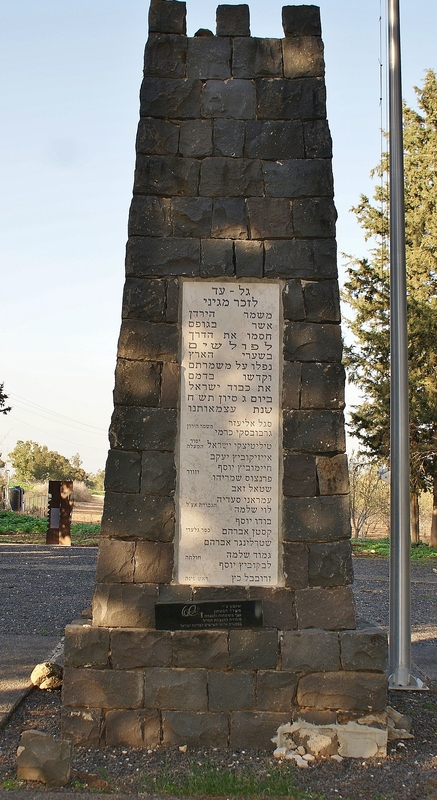 His farm – named ‘Rose of the Jordan’ – did not succeed as planned and in 1890 he abandoned the venture, selling the land to a group of pioneers composed of residents of the ancient town of Tsfat (Safed) and First Aliyah immigrants from Russia, who together established a farming community named Mishmar HaYarden – Guardian of the Jordan. The community’s isolation, together with the many deaths from fever and frequent attacks by Bedouin in the area did not make for an easy or very prosperous life and during the First World War a nearby big battle between the British and Ottoman armies severely damaged Mishmar HaYarden. When Israel declared independence in May 1948, there were some 25 families living there and attacks by the Syrian army immediately following that declaration brought about the evacuation of the community’s children and non-combatants. 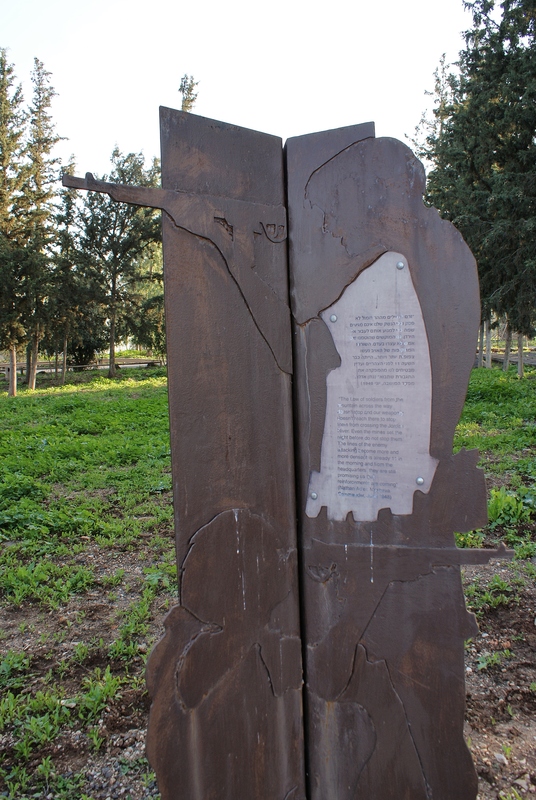 On June 10th 1948 Mishmar HaYarden finally fell to the Syrian army. Fourteen of its defenders had been killed and the twenty-nine men and women who remained were taken prisoner by the Syrians. 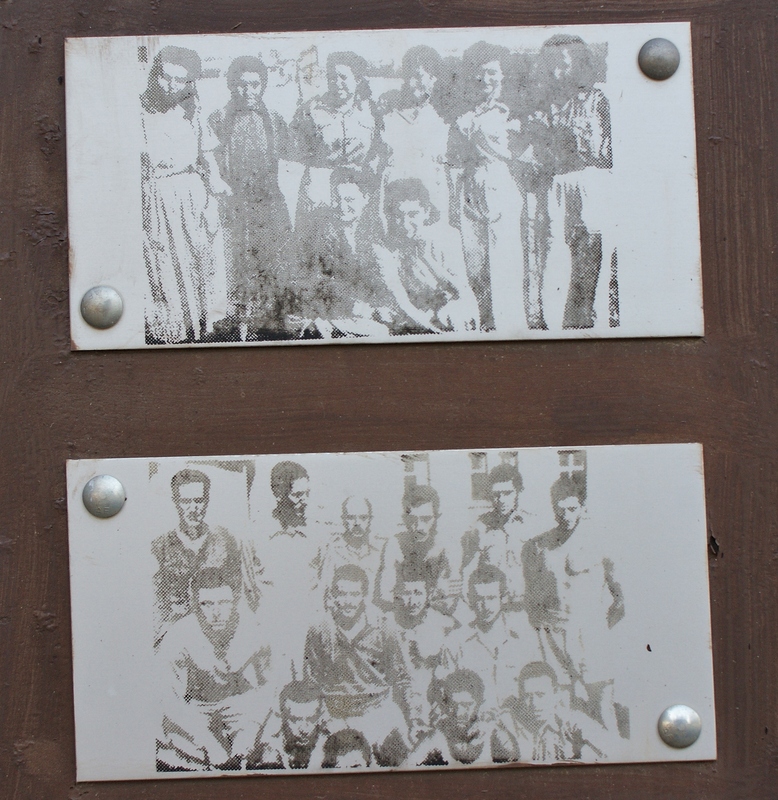 They remained prisoners of war for thirteen months until the Armistice Agreement was signed in 1949. Once released, they found that they had nowhere to return to: their village of 58 years had been razed to the ground by the Syrians. 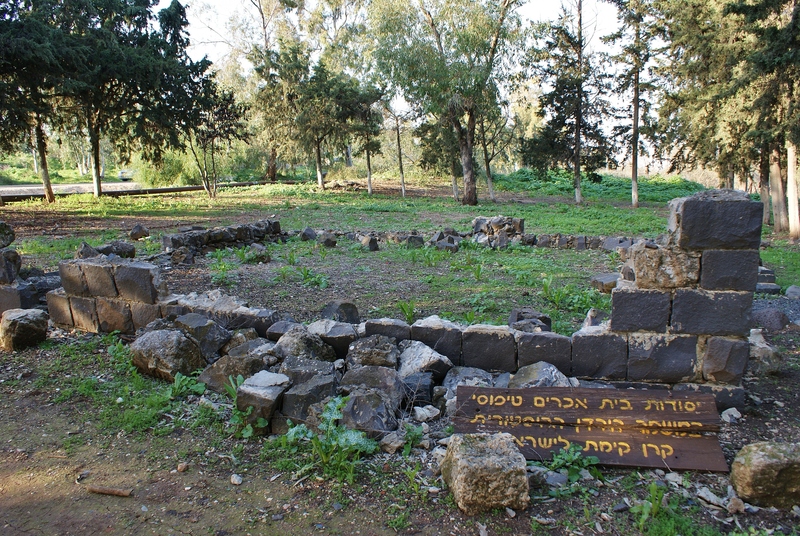 Mishmar HaYarden was eventually re-established as a moshav, some 2 km to the south-west of its original site. 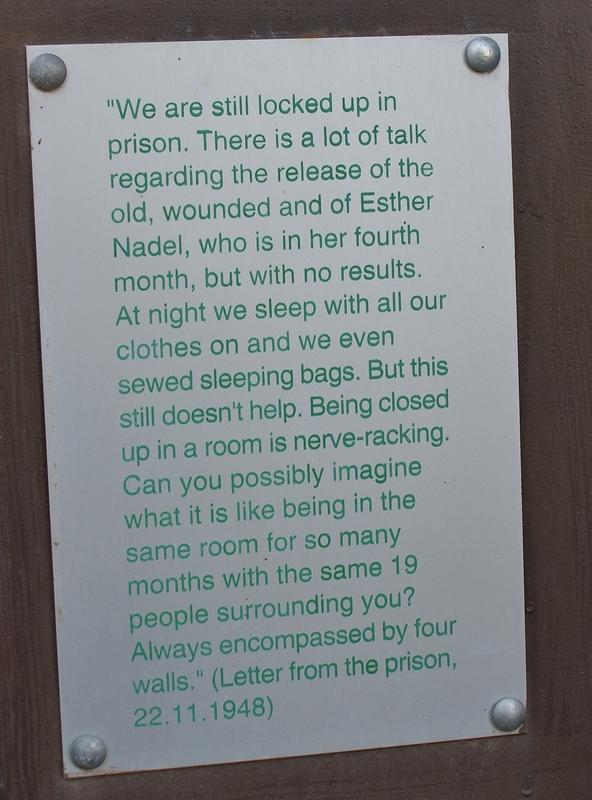 Tens of other communities were also depopulated during the War of Independence due to attacks by the invading armies from surrounding Arab countries, including those in Gush Etzion, some in the Negev and the Jordan Valley and several Jerusalem neighbourhoods. That aspect of the War of Independence is not mentioned in the BBC’s narrative of events.